I'm after an advice how to go best around this. I have signed for a job, where I'm supposed to translate little less than 3000 school descriptions into 2 languages, not knowing that 1 school will be around 1 A4 page long. There I have a deadline (which the client said can postpone) to complete 290 schools in both languages in a week. During the interview I said I can work around 3-5 hours and later only 2-3 hours as I'm resuming full time job. I'm not even close to half. My issue is the time and that I would be paid only 50$ for the first 290 translations, which in 2 languages will not make double - so still only 50. Now I feel really foolish, that I did not ask more questions about the length of the texts, but seriously ..this much of text for just 50$? What can I do in this case? What will happen if I cancel the contract? I haven't been paid anything from this client just yet. I'm really upset with myself right now, cos I was so excited about the job but at the same time I can devote my time to something more sensible. Many thanks for any piece of advice. Be honest with the client as soon as possible if you cannot complete the job as you now know the client expects. If you misunderstood the project, just say so. If you can't complete the project for any reason, let the client know that and suggest canceling the project, so the client can find another freelancer as soon as possible. 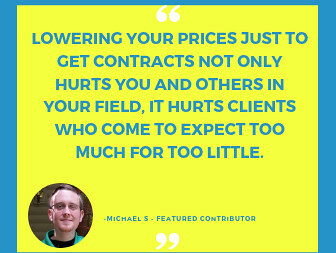 If you don't want to complete the project because your pricing is far out of line with the work you now know needs to be done, tell the client you must change your pricing or step away from the project. 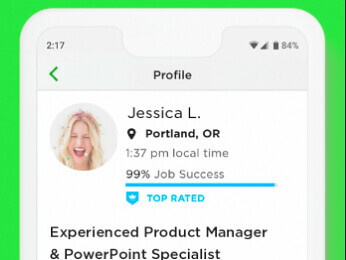 Yes, that will likely ding your reputation here on Upwork, but delaying the inevitable decision you know you have to make is whistling past the graveyard - cut the cord and move on as quickly and in as professional a manner as you can. 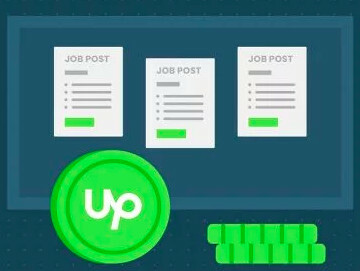 There may be some nuances to the best way to do the above within Upwork's protocols, which others here can better descrive for you than I can. Next time, make sure you have the material or files, all information is understood between both client and freelancers and all questions (on both sides) are answered BEFORE you start working. Seeing the material you'll be working on will allow you to determine how long it will take to finish it. Then knowing the amount of work, and knowing your hours are going to be restricted, you probably should not have taken the job. All you can do now is to let the client know you won't be able to finish the job. Be prepared for your JSS to get dinged. Assuming the following: 1 A4 page is 200 words x 290 = 58000 words, if you can translate 450 words per hour = 128 hours, and you are paid USD 50 for that = 39 cents per hour, or half of that if the work is double. That is well below the 3 USD minimum per hour that upwork requires. This is not worth your time under any circumstances. You could tell the client that you found out how low the pay is, but I would advise against it. I would still end the contract as soon as possible from your side, with any explanation that works for you. Your client will not be happy in any case, and anybody that offers work under these conditions is not going to be happy when that stops. I really don't know what's the best way to go about it, either ending the contract without asking for payment, or sending what you have and asking for a payment of USD 10, or a combination of both?